Like any part of your body, your teeth are susceptible to diseases and risk factors that threaten your dental health. The best safeguards against the threats of tooth decay, gingivitis or periodontal diseases are simple preventative measures such as brushing and flossing your teeth every day, and making regular appointments to visit the dentist. It is a well-known fact that cleaning your teeth preserves them, and keeps the worst of tooth decay, plaque and gingivitis at bay. We offer oral hygiene and cleaning services for patients that will further enhance the maintenance of your teeth. A hygienist will scale, clean and polish your teeth to remove plaque, and apply fluoride, which will make your teeth more resistant to tooth decay. Fluoride treatments can also be used to reverse the beginnings decay as well. 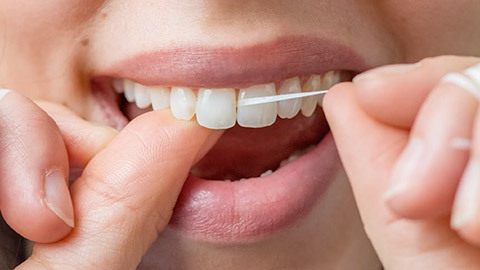 We also educate our patients on proper brushing and flossing techniques, as well as other behaviours that will promote and maintain good oral health. Oral cancer is is one of the most common cancers in the world, and perhaps among the most deadly because they are often difficult to detect until it is too late. Because the symptoms of oral cancer in the early stages are similar to symptoms of other minor and less threatening conditions, patients often don’t realize the threat until it reaches its later stages. Oral cancer involves the abnormal and rapid growth of cells in various areas of the mouth such as the lips, gums, cheeks and throat. During regular appointments, your dentist will also perform x-rays and screenings to see if there are any risk factors that may potentially threaten your dental health. At Lacewood Square Dentistry, we perform routine visual and in-depth screenings for oral cancer and other diseases. Prior, or after, a cleaning session, we make a thorough assessment of your health and medical history, as well as take x-rays that can reveal any hidden, developing abnormalities. Visual or in-depth screenings are routine and essential. In the former, we perform a visual inspection of the mouth for signs of oral cancer such as red and white patches, sores, lumps or lesions. In in-depth screenings, dentists will use additional tools to help identify oral cancer such as x-rays and cancer biopsies. Routine cleaning and dental checkups are vital preventative measures against the worst of oral diseases. Not only do regular checkups allow dentists to help you maintain your dental health, they can identify debilitating diseases such as oral cancer in its early stages. Don’t hesitate to schedule regular dental appointments.